This isn’t very nice. 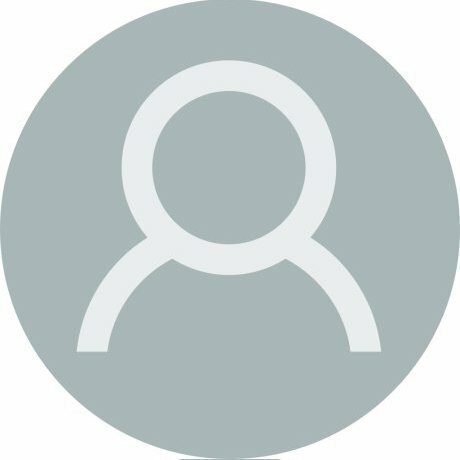 Look at my listing on the search results page. Amazon tags onto MY listing diverting you over to the Amazon Branded Olive Oil. 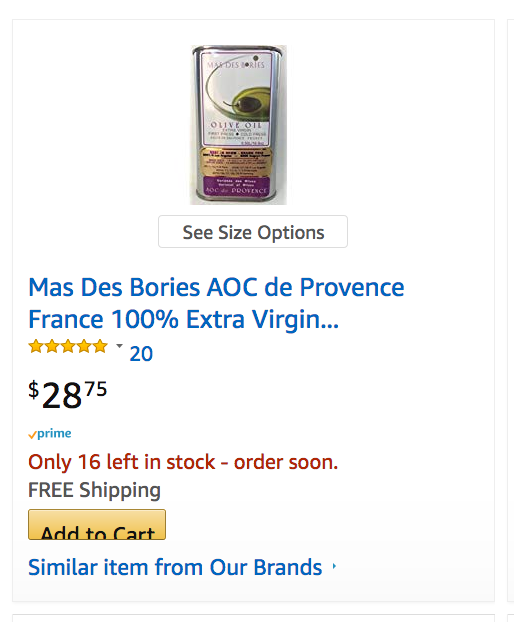 “Similar items from our brands” takes you to Amazon branded olive oil. It is not enough that they continually run promotions that do not cost them anything, now they tag along right inside my listing! It called the dot com culture AND the fact they have an overwhelming number of sellers to take your place. This is what facilitates this type of behavior. Your not the only one and its been going on for a long time. The ones really getting burned are the ones buying sponsored ads and continue to buy sponsored ads with all the distraction of other items on the page. At one time I raised the price of one product, they place “lower priced” items I might like at the top of the detail page. Nothing you can do infact when buyer checkout he also get several option to choose best seller lowest price until he press pay this is how retail market work you can have all this control only on your website. The simple fact is that Amazon themselves are the biggest COMPETITOR for most of us who sell here. eventually- but it does keep us hopping trying to continually come up with new products to sell…and to get rid of excess inventory we brought in to support sales that suddenly come to a stop . One way or another they will not let you be too successful without grabbing a bigger piece for themselves. In the end it’s not much different then the local B&M supermarket having their private labeled look-alike bottled goods on the shelf next to the brand name products they mimic. That’s been going on for what, 30+ years now since chain stores started going private label with their own copycat merchandise? It’s now common practice for retailers to have their own label they sell alongside the rest of the brands. And Amazon has long been offering competing sellers products directly on your listing, this is just a new twist. At least I have that going for me. We grow the olives on our olive farm, we press them on site in our own moulin, so nobody else can sell our olive oil. Nobody else can quote, “jump on our listing” except Amazon. But I thought it was really ballsy of Amazon to link to themselves, I mean literally right inside my listing that is returned on the search page.